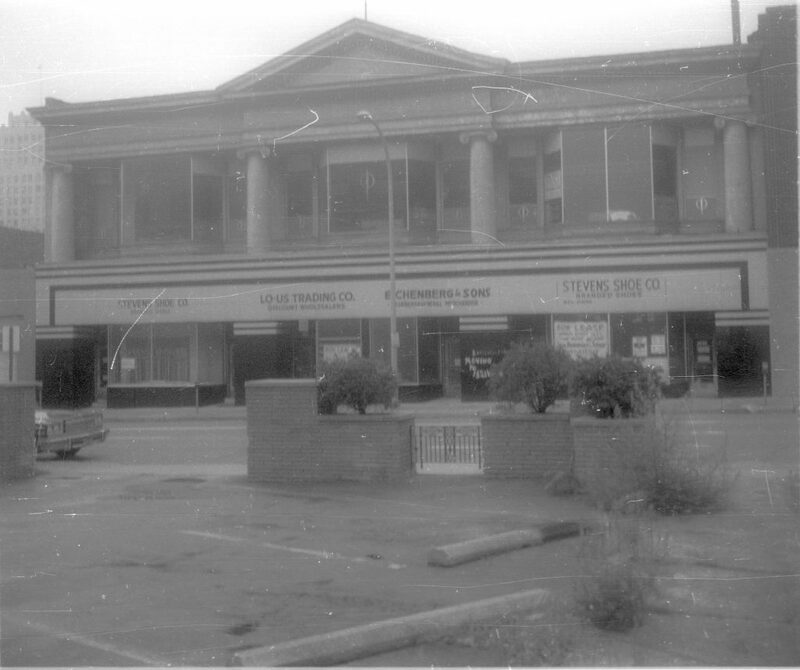 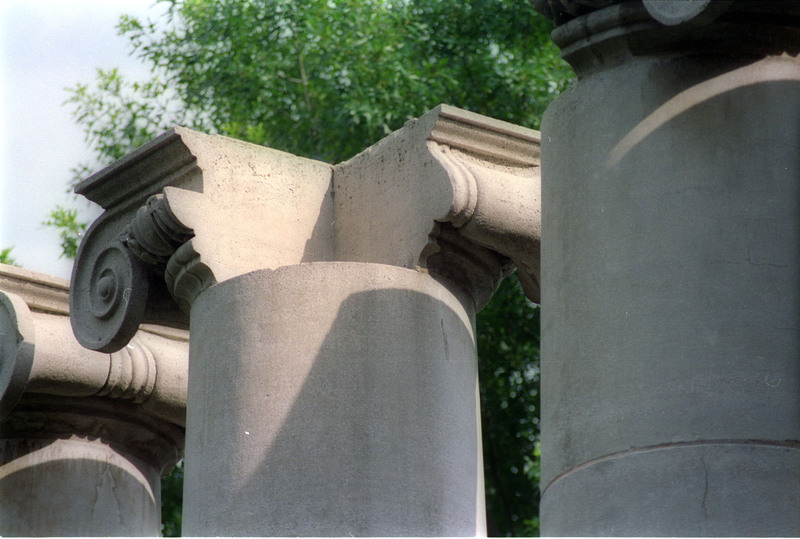 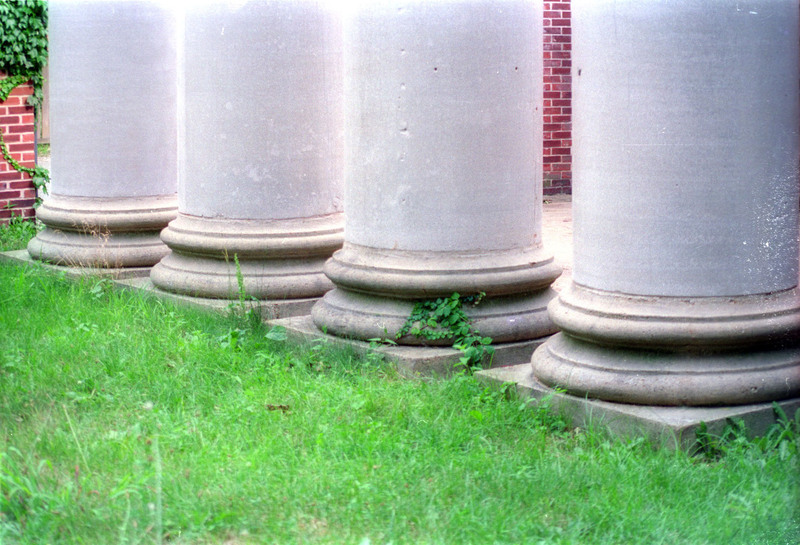 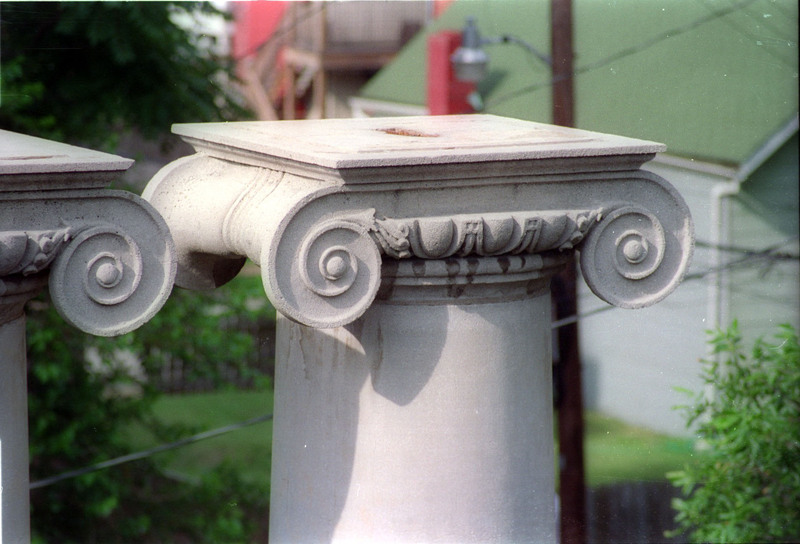 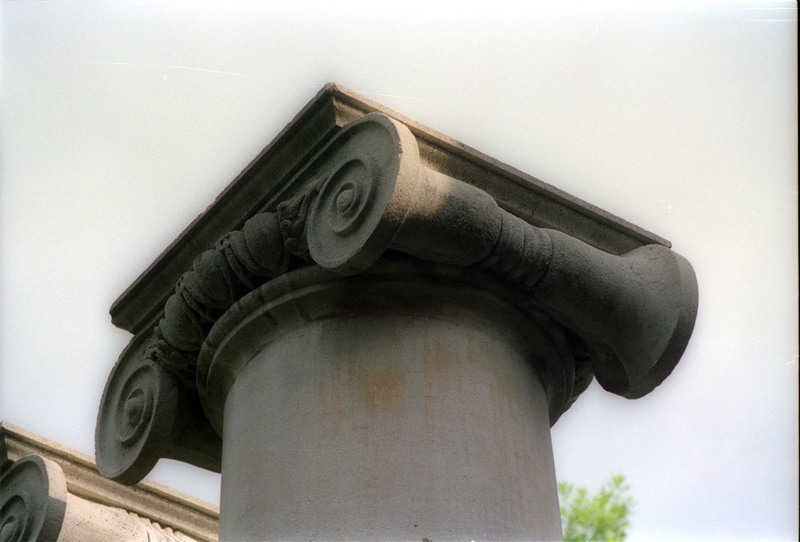 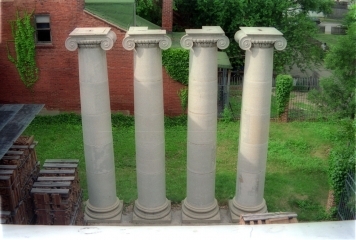 Recovered four Roman ionic columns from temple front. Cast stone made by Algonite Stone Mfg. Co. 7-piece column including 5-piece shaft with entasis. 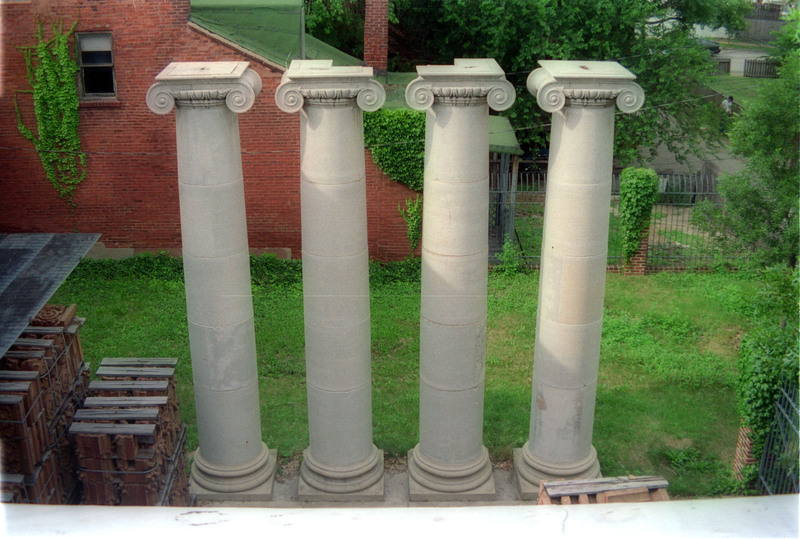 Height: 20 feet 2 inches, base: 48×48 inches, capital: 41×41 inches.